At Nasstar, we are very proud of where we work, the service we provide to our clients and the teams we belong to. We’re a fast-paced, growing company with a strong set of family values at its heart, but what really makes us unique is our people. We teamed up with video production company, Slinky Productions to bring our story to life in video form and showcase our organisation, its people and its culture. Hear from our CEO, technical director and one of our key clients, law firm Jackson Lees give their thoughts on what really makes us tick at Nasstar. Nasstar’s CEO, Nigel explains the history the business, having been set up by his father 20 years ago and the changes it has seen since in terms of growth and new technologies such as public and hybrid cloud. Nigel explains that although technology moves at pace, Nasstar will always put the client at the heart of any solution to ensure security, resilience and complete peace of mind. Technical Director, Steve Brown oversees Nasstar’s technical direction and explains that partnering with an organisation like Nasstar, means that business owners are free to focus on growing their business instead of looking after their IT. Nasstar hosts and manages a client’s applications and data from its data centre building in a layer of disaster recovery and business continuity to ensure clients can securely access their systems on any device, at any time and from any location. Group COO at Jackson Lees, Joanna Kingston-Davies comments on the importance of the ‘people fit’ with Nasstar and how her staff sees us as an extension of their team, on hand to help should the need arise. Joanna describes the relationship with Nasstar as almost like having a “CTO at the Boardroom table”, due to Nasstar’s strong relationships with the likes of Microsoft and our ability to give our clients guidance on their technical direction. 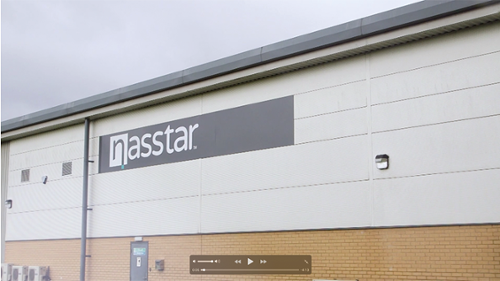 The video is a real ‘get to know Nasstar.’ You can have a look inside our office, meet our team and have a glimpse into our state-of-the-art Data Centre. We hope you enjoy it!